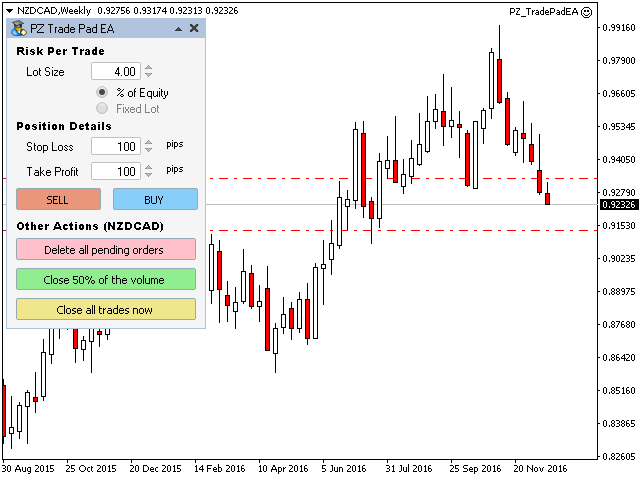 Trade easily from the chart with PZ Trade Pad EA. It handles risk management for you and can perform several useful tasks with your existing trades. Using it is really simple. 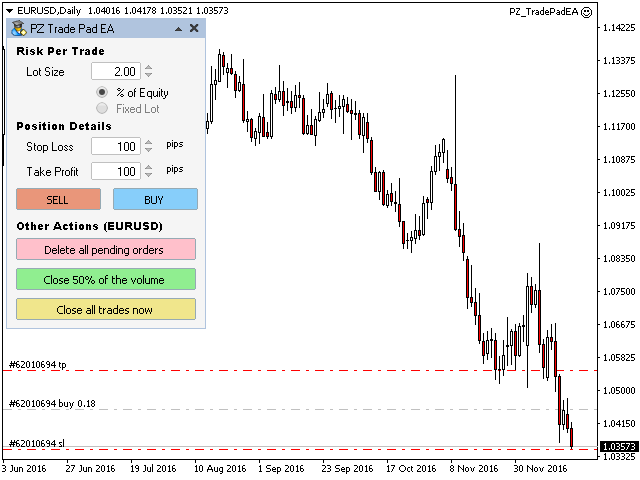 Select the trade risk, stop loss and take profit levels, and click Buy or Sell. The utility offers other procedures: deleting pending orders, closing 50% of profitable orders and closing all orders.